Happy Birthday to us! 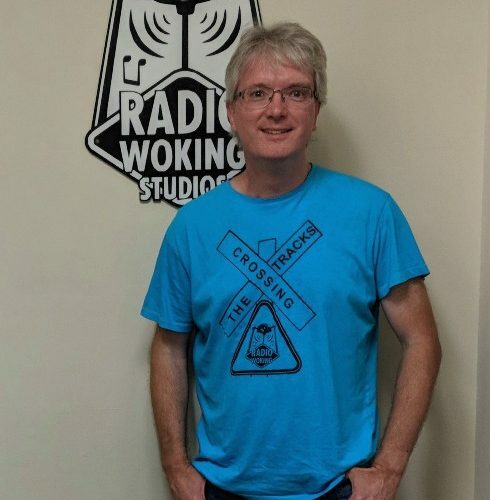 Radio Woking is 5 TODAY! The station officially began broadcasting on the 25th of November 2013. As it was a Monday, I was honoured to present the first ‘scheduled’ show on the station, after the official launch programme, hosted by Keith Woodhouse, which had taken place throughout the early evening. Following the launch, and with a studio and reception area full of special guests and new presenters (Most of whom I’d never met before), at 8pm the first ‘Crossing The Tracks’ show hit the radio waves. It was the first time I’d been in the studio too so it was definitely a big adventure! Back then we didn’t have a ‘listen again’ feature, or show blogs, these came along soon in 2014, so I thought I’d celebrate today’s milestone by posting a special blog entry, including the playlist from that first show, and for the first time give you a chance to listen back to the programme. My, how things have changed! Please check it all out below! Please click on the link at the bottom of the page to listen again. Wishing all the members of Radio Woking, and everyone who has supported us the very best for the next 5 years! Happy Birthday! Please join us tomorrow (Monday 26/11/18) from 8pm for this week’s show, featuring special guest Luke Yates!